I have been posting on this year after year … and some remain constant in them… especially the winners being Indians ! ~ It is a contest conducted with the purpose of helping the students improve their spelling, increase their vocabularies, learn concepts, and develop correct English usage that will help them all their lives ~ it is “Spell Bee” and this year history repeated itself with a slight difference. A spelling bee is a competition where contestants, usually children, are asked to spell English words. The competition in US is now sponsored and fun by E.W. Scripps Company. Last year i.e., in 2013, it was Arvind Mahankali from New York scripting history by winning the Scripps National Spelling Bee for the year 2013, becoming the sixth Indian-American to win the title in a row. “The words were extremely hard. It means that I am retiring in a good mood,” Arvind said after winning the prestigious national championship. Arvind had finished ninth in 2010 and third place in both 2011 and 2012. In 2012 it was 14 year old Snigdha Nandipati, who spelled “guetapens” to win. In 2011, it was Sukanya Roy who correctly spelt the tongue-twister ''cymotrichous'' to be crowned the new champion. Now to the present ~ for the first time in 52 years, two spellers were declared co-champions of the Scripps National Spelling Bee on Thursday. Indian-Americans Sriram Hathwar of New York and Ansun Sujoe of Texas shared the title after a riveting final-round duel in which they nearly exhausted the 25 designated championship words. 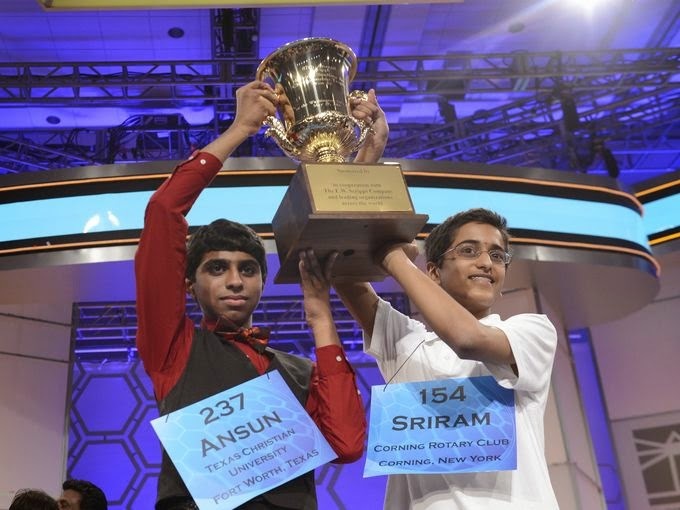 After they spelled a dozen words correctly in a row, Seventh-grader Ansun Sujoe, 13, and eighth-grader Sriram Hathwar, 14, both were crowned the champion. The two went through the grill for several rounds and in the end neither blinked. The competition ended after Ansun correctly spelled "feuilleton" and the word list was exhausted. They were declared co-champions. Earlier, 14-year-old Sriram opened the door to an upset by 13-year-old Ansun after he misspelled “corpsbruder,” a close comrade. But Ansun was unable to take the title because he got “antegropelos,” which means waterproof leggings, wrong. "I think we both know the competition is against the dictionary not against each other. I'm happy to share this trophy with him," Sriram said on ESPN after the event. Gokul Venkatachalam of Chesterfield, Missouri, finished third, and Ashwin Veeramani of North Royalton, Ohio, was fourth. This year too – the champions are Indian-American. The past eight winners and 13 of the past 17 have been of Indian descent, a run that began in 1999 after Nupur Lala's victory, which was later featured in the documentary "Spellbound." The declaration of co-champions came after round 22, when Hathwar spelled “stichomythia,” which is defined as “dialogue especially of altercation or dispute delivered in alternating lines.” Sujoe responded by correctly spelling the word "feuilleton,” which is defined as “a part of a European newspaper or magazine devoted to material designed to entertain the general reader.” Rich Boehne, chairman, president and CEO of The E.W. Scripps Company, declared Hathwar and Sujoe co-champions and awarded them the engraved Scripps National Spelling Bee championship trophy after round 22. This is the first time since 1962 – and the fourth time overall – that co-champions have been declared at the Scripps National Spelling Bee. According to the website of the Organisers, there were 281 spellers from the 50 U.S. states, American Samoa, Guam, Puerto Rico, the U.S. Virgin Islands, and Department of Defense Schools in Europe; also, the Bahamas, Canada, China, Ghana, Jamaica, Japan and South Korea. Speller 218 Hussain Godhrawala, of Barnwell, South Carolina, was the youngest speller in the competition at age 8. In the group competition it was 51% girls and 49% boys. The Scripps National Spelling Bee is the nation's largest and longest-running educational program. The purpose of the Scripps National Spelling Bee is to help students improve spelling, increase their vocabularies, learn concepts and develop correct English usage that will help them all their lives. The E.W. Scripps Company (www.scripps.com) serves audiences and businesses through a growing portfolio of television, print and digital media brands. After its acquisition of two Granite Broadcasting stations closes, Scripps will own 21 local television stations as well as daily newspapers in 13 markets across the United States. Webster’s Third New International Dictionary and its addenda section, copyright 2002, Merriam-Webster, (Webster’s Third) is the final authority and sole source for the spelling of words; the primary source used to craft the pronunciations, definitions, and language origins for the Bee; and the only printed authority consulted by officials, as well as the sole source used during the Bee to verify the information in our prepared lists. This tall player who is in limelight now played his Only ODI in June 2010 – ODI 2988 at Harare against Sri Lanka, yes in the Zimbabwe Triangular series….. India scored 268 and were wiped out by Dinesh Chandimal who made 111. The debut was not all that impressive ! – since then it has been a norm ……. Every season for the past five years this fast bowler from Rajasthan finishes among the top wicket-takers in the Ranji Trophy. He has helped Rajasthan to successive Ranji Trophy titles in2010-11 and 2011-12, finishing as the top and third-highest wicket-taker respectively in those years. This year, his 39 wickets puts him only behind Himachal Pradesh's Rishi Dhawan in the wicket-takers' list – he was continued to be neglected. 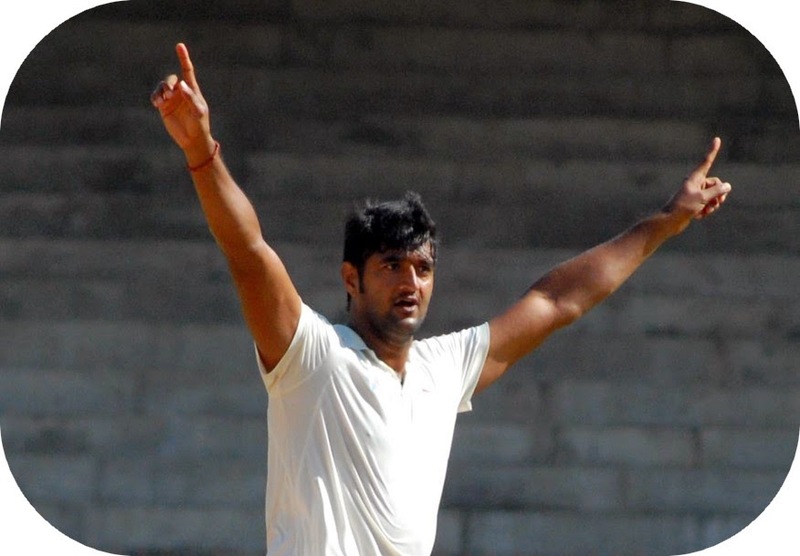 At 6'4", Pankaj is the tallest fast bowler along with Ishant Sharma. Capable of swinging the ball both ways, Pankaj uses his height and a strong arm to generate lethal bounce. These are some of the skillsets Pankaj has polished over the years in domestic cricket to be recognised as one of the most dangerous fast bowlers in the country. Pankaj aims to utilise that vast experience with the chance he has now – to play in England. In the IPL, the defending Champions, the team with a great load of ex-players as advisors, went down in the eliminator, after finishing fourth, with seven wins from 14 matches. Mumbai Indians were one of two teams to sweep their home games in 2013. This year, their batting was continuously disappointing in the UAE but on their return to the Wankhede Stadium, they toppled Kings XI Punjab, the most dominant team of the season. They dropped only one game at their home ground. Lendl Simmons provided impetus at the top and with his performances; yesterday Dhoni’s men had their measure in their backyard. Tomorrow will see two teams with contrasting IPL history… CSK have made it past the group stage in all seven seasons – reaching five finals - Kings XI are yet to make a final. Their best showing was reaching the semis in 2008. Kings XI was the one team Super Kings failed to outclass in both attempts in the league stages. They have one more chance to rectify that - in the second playoff. Super Kings' weak link - the bowling - was highlighted in both games as Kings XI posted 200-plus scores. In the first meeting, in Abu Dhabi, sixties by Dwayne Smith and Brendon McCullum powered Super Kings to 205 but the target was cut down to size in spectacular fashion by Kings XI's Glenn Maxwell. Maxwell's switch hits and reverse sweeps stunned Super Kings as he smashed 95 off 43 balls, David Miller made a clinical 54. In Cuttack, a "home" game for Kings XI, Maxwell carried on from where he finished, pounding 90 off 38 balls to lift Kings XI to the season highest 231. Super Kings never threatened the target but still managed 187. It is time for CSK to bounce back now……. Mushfiqur Rahim, the Bangladesh captain, has said he didn't expect such a weakened Indian side for the upcoming three-match ODI series. The visitors announced a 15-man squad without eight of their regulars - captain MS Dhoni and Virat Kohli are among those not making this trip. The team will be led by Suresh Raina, who was not part of India's last ODI assignment, and only four members of this squad -- Cheteshwar Pujara, Ajinkya Rahane, Stuart Binny and Wriddhiman Saha -- will be flying to England to join the Test team. Day five of Roland Garros 2014 saw the 2011 Wimbledon champion Petra Kvitova set up an intriguing third round clash with 2009 Roland Garros victor Svetlana Kuznetsova. Last year’s Wimbledon semi-finalist Kirsten Flipkens went out. She faced the 98th-ranked Israeli Julia Glushko, who had fallen either in qualifying or the first round of all 11 tournaments she played this year ahead of Roland Garros 2014, saw off the No.21 seed 6-4, 3-6, 6-4. Whom are you supporting ? Williams (Serena & Venus) crash out of French Open; KKR wins ~ is CSK on path ? At Brabourne – CSK are chasing 174 – at the time of posting - CSK are 98/3 - David Hussey and Suresh Raina at the crease, needing 75 runs with 7 wickets in hand to be scored in 53 balls. Brendon McCullum is back, returning from New Zealand after birth of his child. McCullum replaced Mithun Manhas, which meant an Indian bowler - Ishwar Pandey - replaced Samuel Badree in the XI. All four overseas players in the XI were batsmen. Earlier, Kolkata Knight Riders eased into the IPL final with their eighth-successive win, beating a listless Kings XI Punjab at Eden Gardens. Robin Uthappa prolonged a stellar season and took the record for the most runs scored by an Indian batsman in an IPL season. Gautam Gambhir, though scratchy with the bat, had helmed an impressive turnaround by Kolkata Knight Riders. The satisfaction of making the final was sweetened all the more when both players returned into national reckoning. Uthappa found a place for the ODI tour of Bangladesh and Gambhir could contemplate a Test comeback in England. Miles away, when the draw for Roland Garros 2014 was made, one could observe a potential third-round match-up between Venus and Serena Williams – today it is clear that none would make it. 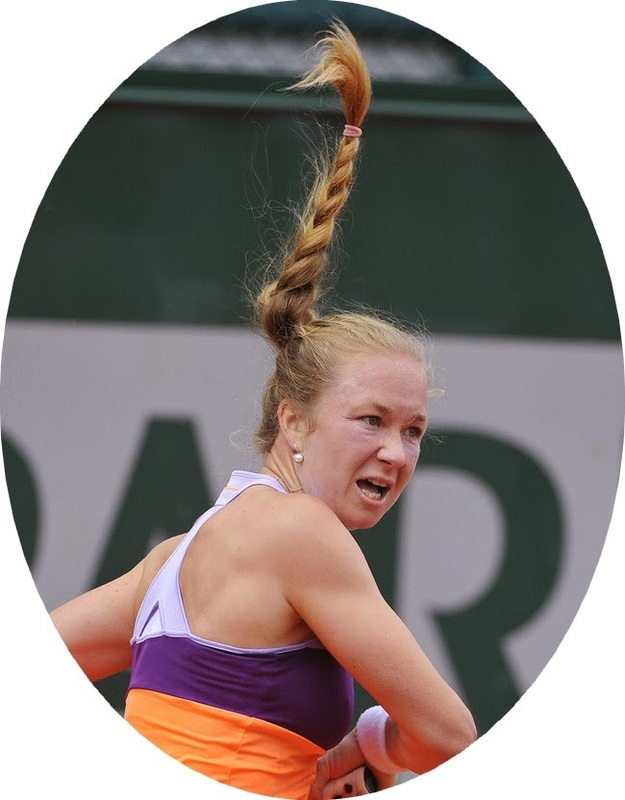 Even before the younger sister created the shock of the tournament by going out to Garbine Muguruza, Venus had succumbed to Anna Schmiedlova on Philippe Chatrier today. Venus Williams, seeded 29 here, looked to be on course for the sibling encounter when she broke early and took the first set from the world No.56. But Roland Garros has never been Williams’ happiest hunting ground – her best result was runner-up to Serena 12 years ago – and she has not made it through to the second week since 2010. She turns 34 shortly and her opponent was a 19 year old looking for her way into the top 50. Le Stade Roland Garros ("Roland Garros Stadium") is a tennis venue complex located in Paris, France. It hosts the French Open, also known as Roland Garros, a Grand Slam championship tournament played annually around the end of May and the beginning of June. The facility was constructed in 1928 to host France's first defense of the Davis Cup. It is named for Roland Garros, a pioneer aviator (completed the first solo flight across the Mediterranean Sea), engineer (inventor of the first forward-firing aircraft machine gun), and World War I hero (the first pilot to shoot down five enemy aircraft, and to be called an "ace" for doing so), who was killed in aerial combat in 1918. While the Roland Garros surface is invariably characterized as "red clay", the courts are in fact surfaced with white limestone frosted with a few millimeters of powdered red brick dust. 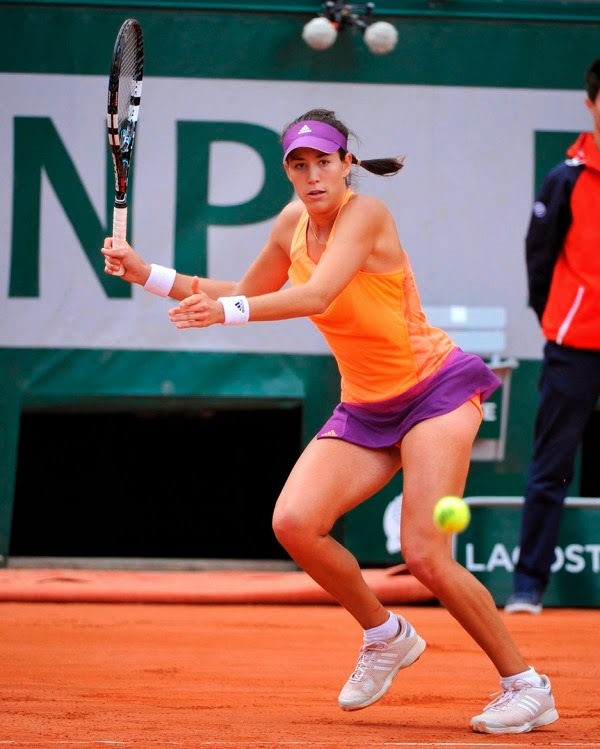 Not many would identify this young pro – of Spanish-Venezuelan - Garbiñe Muguruza Blanco. The 2014 French Open is now on being played on outdoor clay courts. It is the 113th edition of the French Open and the second Grand Slam event of the year. It is taking place at the Stade Roland Garros from 25 May to 8 June. Rafael Nadal is the four-time defending champion in the men's singles and Serena Williams is the defending women's singles champion. Williams failed to defend her title, losing to Garbiñe Muguruza in the second round. This has become the first time that both singles winners of the Australian Open (Li Na and Stan Wawrinka) lost in the first round of the French Open. That bug bit Serena too. Serena Williams admitted she had suffered "one of those days" after crashing out in the second round of the French Open. The world No 1 and defending champion lost 6-2 6-2 to Spaniard Garbine Mugurza in only 64 minutes on Court Suzanne Lenglen. Serena, who has won 17 Grand Slams, said: "It was just one of those days. You can't win every game. It is what it is. I could not serve. Mugurza, 20, had her best Grand Slam performance by reaching the fourth round at the Australian Open in January. "The plan was to play aggressive - I am so happy," said the world No 35. The women's tournament is now wide open after No 2 seed Li Na lost yesterday. Rains makes no play on first qualifier - was a no ball enough to prevent MI .. ?? MI were almost out of the tourney... in the last match – 14.3 Faulkner to Ambati Rayudu trying to steal a single was run out – 30 (10b 5x4 1x6) SR: 300.00 ~ yet he was so distraught. Needing to scale the 190-run target set by RR in just 14.3 overs, MI managed to tie the score in the stipulated time. With the two sides net run-rates deadlocked, MI needed a boundary off the final ball, but what they got instead was a six to top off an improbable passage to the post-season. Earlier Yusuf Pathan (72 off 22 balls) took Kolkata Knight Riders to the top-two by upstaging CSK’s net run-rate. Needing to scale the 161-run target set by Sunrisers Hyderabad, the Knight Riders got home in just 14.2 overs with five wickets in hand. Yusuf recorded the fastest fifty in IPL history in front of a capacity crowd at Eden Gardens. Getting back, MI had not only did they have to win the match, but also needed to plan their chase which everyone stated to be 14.3 overs. So when scores were tied at 189 after 14.3 overs, RR players were elated thinking they have qualified. Not to be .... for the net run-rate depends upon the final score and not the winning target. So for a total of 190, the cut-off figure of 14.3 was valid. But Mumbai Indians had a chance to score more than 190 (winning hit being a four or six after scores being levelled). In such a situation, Mumbai Indians had a cushion of playing a few extra balls and still remaining ahead of Rajasthan Royals on net run-rate. In fact Aditya Tare could have played two dot balls and then hit a four and Mumbai Indians would have still beaten Rajasthan Royals on net run-rate (television gave wrong information that Mumbai Indians needed to hit a four or a six at 14.4 overs to qualify). Were Rajasthan Royals aware of this possibility is anyone’s guess. Some stated that all that RR had to do was to bowl a wide or no ball........... again incorrect – that would given MI the win – but the ball would not have counted being an illegitimate ball !!! a. Qualifier 1 – reserve day: Wednesday 28 May at Eden Gardens, Kolkata starting at 4pm. An additional 120 minutes of extra time is available on each reserve day. Punjab had looked unstoppable especially when at UAE – but KKR have found their feet in home turf. Since the IPL moved back to India, Glenn Maxwell's form has tailed off. An interesting trivia from Steve is Muttiah Muralitharan at 42 is not the oldest player in IPL 7 – it still is Pravin Tambe, the legspinner who turns 43 this year. 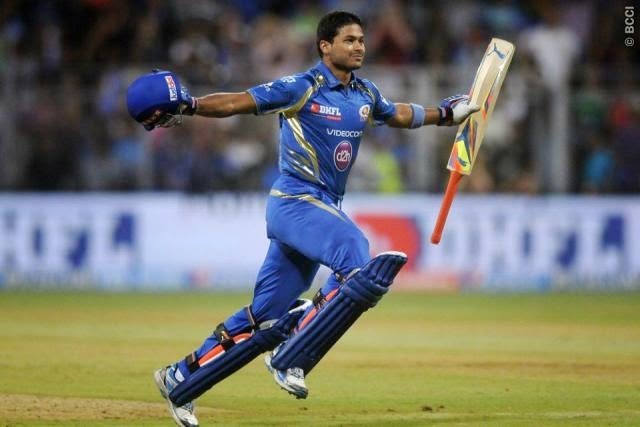 Tambe had never played a first-class match when called up by Rajasthan in 2013, although he did play a couple for Mumbai after that. Earlier this month Tambe took a hat-trick against Kolkata Knight Riders - an unusual one in that the first victim, Manish Pandey, was stumped off a wide - so the hat-trick actually came from two legal deliveries. Following the heavy rain in Kolkata over the last two days, the umpires made an early inspection of the ground at the Eden Gardens at 5:15pm and determined, after consultation with the curator, that there was no possibility of the ground being fit for play today. As a result therefore, the 2014 Pepsi IPL Qualifier 1 playoff match between Kings XI Punjab and Kolkata Knight Riders has been postponed to tomorrow, Wednesday 28 May and is scheduled to start at 4:00 pm. It is stated that ticketholders who purchased tickets for the original match day will be able to enter the stadium on Wednesday on presentation of their original ticket (with the bar code intact) at the turnstiles. Refunds will only be made to ticket purchasers if the match is cancelled without a ball being bowled – on either of the original day or the reserve day as per the terms and conditions which are stipulated on the tickets. If it is not possible to complete the Qualifier 1 match tomorrow, Kings XI Punjab, having finished top of the league, will advance through to the Pepsi IPL Final in Bengaluru on Sunday 1 June 2014. Kolkata Knight Riders will play in the Qualifier 2 match on Friday 30 May 2014. Amidst the crowning glory of Narendra Modi, the local papers had space for some little things too…. 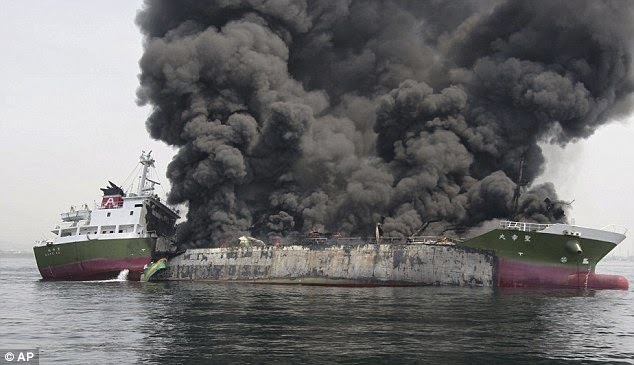 one was about a reported kidnap incident ….. there were reports that a fuel station owner who was reportedly kidnapped by a gang on Sunday morning, returned home during the wee hours of Monday. 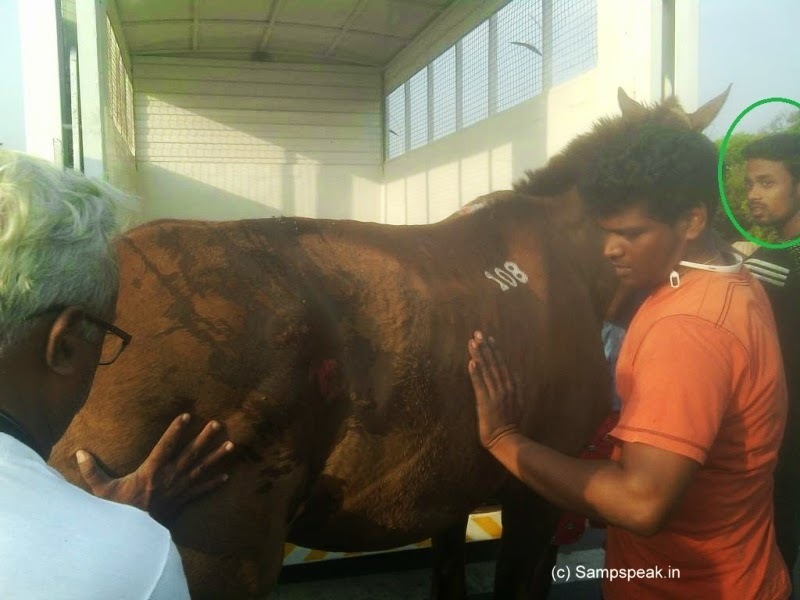 He is the son of He is the son of the Edapadi Panchayat Union Chairman a senior AIADMK functionary. 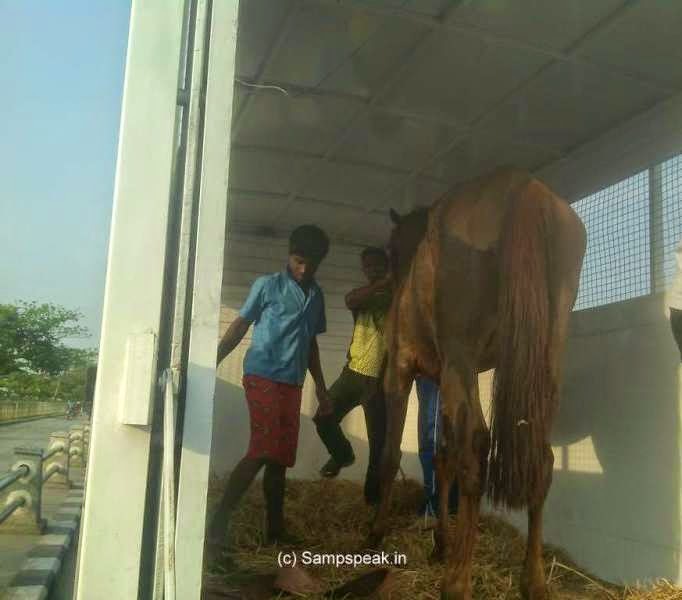 According to the complaint lodged with the Poolampatti Police, Shankar, on Sunday, had informed his father that he was on his way to Jalakandapuram to collect a courier. Madesh received a call on his mobile phone at 1.30 p.m. and the caller claimed that Shankar was with him. The caller demanded a ransom of Rs. 2 crore to let Shankar free. 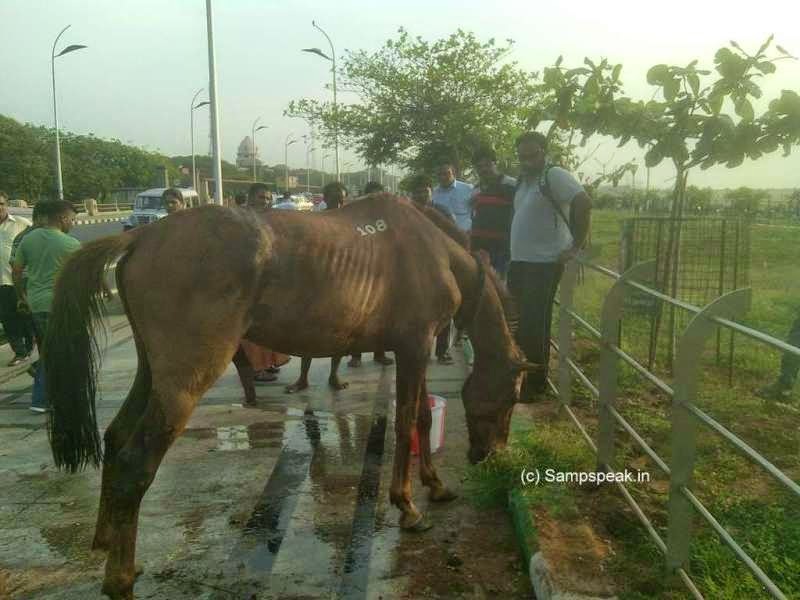 Based on the complaint, a case was registered under Section 364 (A) (kidnapping for ransom) of the Indian Penal Code and eight special teams were formed to rescue Shankar, who returned home at 4.20 a.m. on Monday. Singam released in 2010 ran packed houses. The action masala film gave a fillip to Surya’s career – in the film, the villain Mayilvahanan is involved in many anti-social activities, occupying lands and kidnapping children for ransom is another. The sequel, Singam II, released in July 2013, was also a high commercial success. For the elite, there is iphone, the smartphone from the stable of Apple. It runs Apple's iOS mobile operating system. The first generation iPhone was released in June 2007; the most recent iPhones, the seventh-generation iPhone 5C and iPhone 5S, were introduced in Sept 2013. The user interface is built around the device's multi-touch screen, including a virtual keyboard. The iPhone has Wi-Fiand can connect to many different cellular networks. An iPhone can shoot video, take photos, play music, send and receive email, browse the web, send texts, GPS navigation, tell jokes, record notes, do mathematical calculations, and receive visual voicemail. Other functions — video games, reference works, social networking, etc. — can be enabled by downloading application programs (‘apps’). ~ and there was the added ‘Security’ …. Users who set up their new iPhone 5s will be prompted to add a fingerprint for the Touch ID sensor integrated into the home button. Four more separate fingerprints, for a total of five, can be added later in the iOS 7 Settings application, where other changes can be made to enhance security. At around Rs.37,500 officially, the 8GB iPhone 5c is close to the price of phones such as the Galaxy Note 3 and the LG G2, both of which trump the iPhone 5c for screen real estate and storage size. In this modern world, here is something on hijacking – not physical but on a virtual platform – anyway resulting in loss of money for the victim. 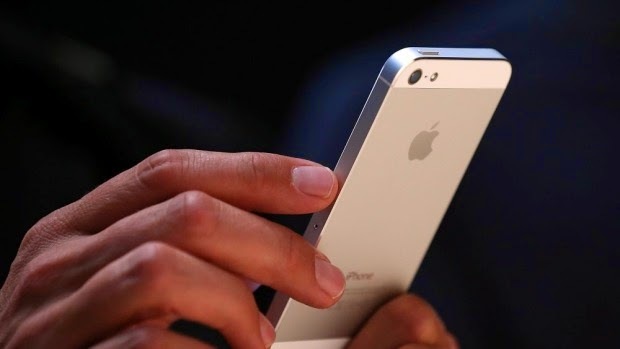 (news credit : smh.com.au) ~ Australian Apple devices, including the iPhone, are being hijacked by a hacker and held ransom. The report states that owners of Apple devices across Australia are having them digitally held for ransom by hackers demanding payment before they will relinquish control. iPads, iPhone and Mac owners in Queensland, NSW, Western Australia, South Australia and Victoria have reported having their devices held hostage. One iPhone user, a Fairfax Media employee in Sydney, said she was awoken at 4am on Tuesday to a loud "lost phone" message that said "Oleg Pliss" had hacked their phone. She was instructed to send $50 to a PayPal account to have it unlocked. It is not physical theft of the phone, but hackers gaining access to the phone, and demanding ransom for having it unlocked …. the poor victim, who despite having the phone on hand, could not use it without paying the hacker to have the access to the same. It is likely hackers are using the unusual name as a front to get money from people. A real Oleg Pliss is a software engineer at tech company Oracle. A similar name is listed on LInkedIn as a banking professional in Ukraine, while there are others in Russia. Users who have a passcode on their device appear to be able to unlock it after the hacker has sent them the message demanding payment, but those who had not set a passcode are unable to. Away from all the melee, there has been ‘Kidnap and ransom insurance’ designed to protect individuals and corporations operating in high-risk areas around the world. K&R insurance policies typically cover the perils of kidnap, extortion, wrongful detention, and hijacking. K&R policies are indemnity policies - they reimburse a loss incurred by the insured. The policies do not pay ransoms on the behalf of the insured. 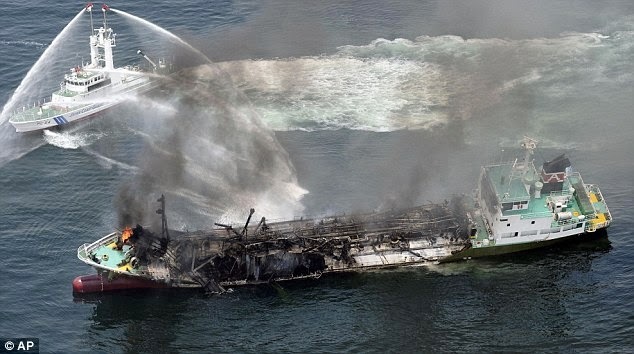 Typically, the insured must first pay the ransom, thus incurring the loss, and then seek reimbursement under the policy ~ and at this juncture these ‘virtual hijack’ of equipments and ransom for their release would be outside the purview of coverage. 'King of Indian roads' Hindustan Ambassador - is it end of the road !!! Vestiges of old times vanish without trace ….. in olden days every town had a taxi stand – the vehicles the rich, famous and needy used for hiring and moving around in times of emergency….. and one familiar sight was – most of them were Ambassador cars and others were ‘Fiat’ cars…. Uttarpara is a town of Hooghly District, West Bengal, India. 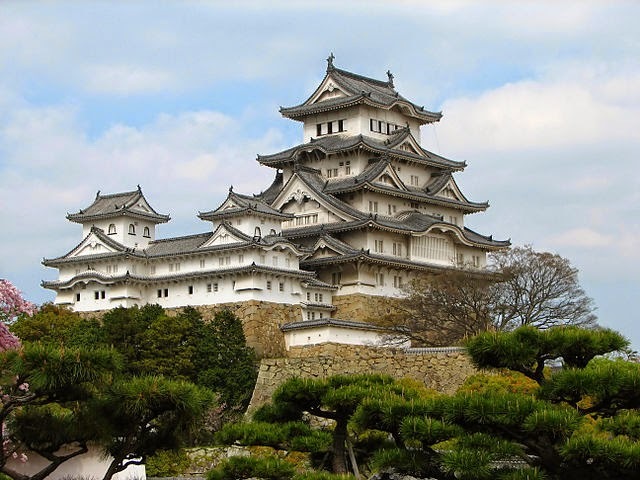 It is a town of historical importance. Uttarpara is home to some of the biggest industrial setups in the state. It has the United Spirits Distilliery, Shalimar Wire Products, Hindustan Motors which is the only vehicle plant in West Bengal which manufactures the car Ambassador. Once the royal vehicle, the white one particularly at that, the Hindustan Ambassador is a car manufactured by Hindustan Motors of India. It has been in production since 1958 with few improvements or changes. Amby was based on the Morris Oxford III model, first made by the Morris Motors Limited at Cowley, Oxford. Despite its British origins, the Ambassador is considered as a definitive Indian car and is fondly called "The king of Indian roads". 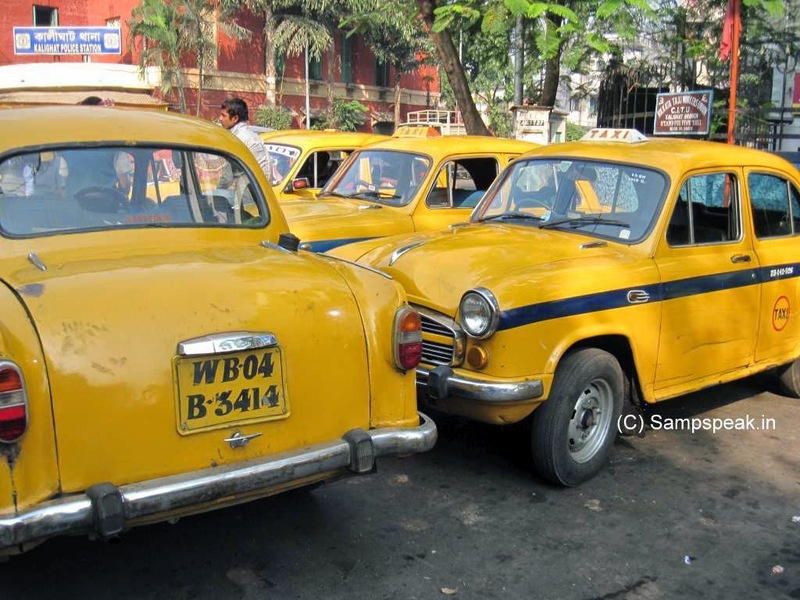 Amby’s ruled the road – bureaucrats and politicians, usually in white with a red beacon on top; – so did travel agencies offering comfort to its passengers .. 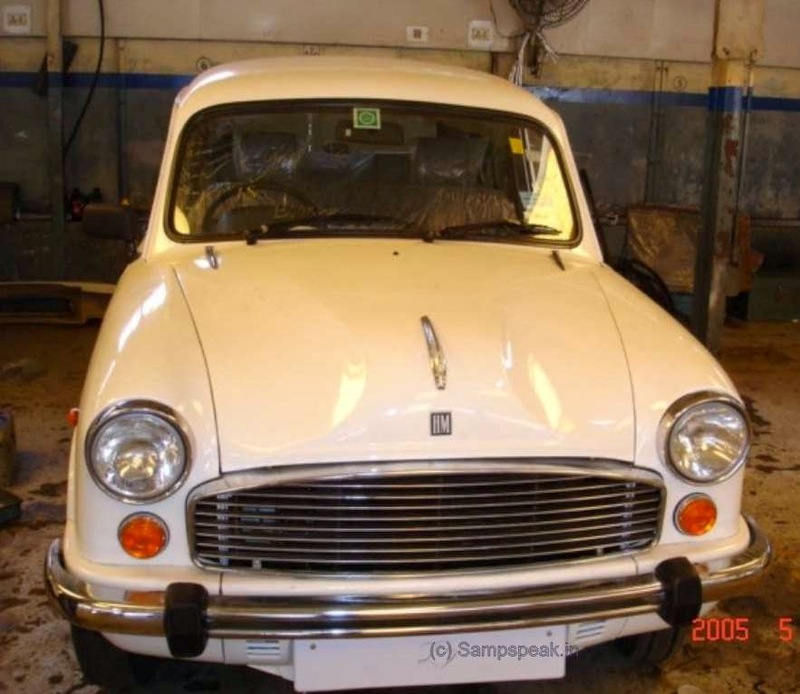 It is stated that when the Birlas wanted a new model to replace their already old Hindustan models based on the Morris Oxford Series Il (Hindustan Landmaster), they scouted for the new Morris Oxford Series III. The car at that point was quite an innovation with a fully enclosed chassis, making it most spacious inside. Those who travelled would vouch that it was far more comfortable than many luxurious cars of date – the owner would sit comfortably in the rear seat with driver changing the floor gears (later day versions had hand gear too). Besides there had been many other variants including Contessa, which perhaps did not do well – then there was the lancer… made at Thiruvallur where HM and Mitsubishi partnered. Remember visiting the plant and even going for a ride in the rumble-tumble testodrome ~ Lancer and its sports model were to be for the up-market but was not a runaway success. Read from their web that Hindustan Motors Limited was established during the pre-Independence era at Port Okha in Gujarat. Operations were moved in 1948 to Uttarpara in district Hooghly, West Bengal, where the company began the production of the iconic Ambassador. Equipped with integrated facilities such as press shop, forge shop, foundry, machine shop, aggregate assembly units for engines, axles etc Ambassador of various hue (1500 and 2000 cc diesel, 1800 cc petrol, CNG and LPG variants) were rolling out. HM also has operations in Pithampur near Indore in Madhya Pradesh where it produced 1800 cc CNG and other variants of Winner. In Kolkata almost all the taxis that run are Ambassadors ~ for long, the taxis at Chennai airport were only Ambys, now you find other models including Maruti Swift Dzire Tour. Read with some sadness that Hindustan Motors Ltd, on Saturday announced suspension of work at its Uttarpara factory near Kolkata, putting at risk at least 2,500 jobs. Economic Times and other newspapers report that in a stock market filing, Hindustan Motors said it had to halt production in view of “low productivity, growing indiscipline, critical shortage of funds, lack of demand for its core product, the Ambassador, and large accumulation of liabilities”. West Bengal’s labour minister Purnendu Bose said in television interviews that the state government will intervene to find a solution. Trading in Hindustan Motors’ shares had to be halted on Friday after it jumped 19.9% to Rs.13.30 on BSE. The company sold about 2,200 Ambassadors in the fiscal year ended in March 2014, a tiny share of the 1.8 million passenger cars sold during the year in India, according to industry data. A new Ambassador in Kolkata starts at Rs.5,15,000/- according to a dealer in the city. Some industry watchers opine that it would be difficult for the “grand old lady” of the Indian car market to make a comeback. Last year, despite its dwindling sales, the distinctive car with its bulbous design and roomy interior was named the world’s best taxi by the BBC’s popular Top Gear television show. Sadly, the present imbroglio is pushing to its end. From the time when it was considered so roomy to house the entire family, the pride is gone – though there are smaller families with small cars flashily moving around. It had no power steering, no power windows; no music systems; no side mirrors, no power brakes, no stick shift gears, no seat belts. 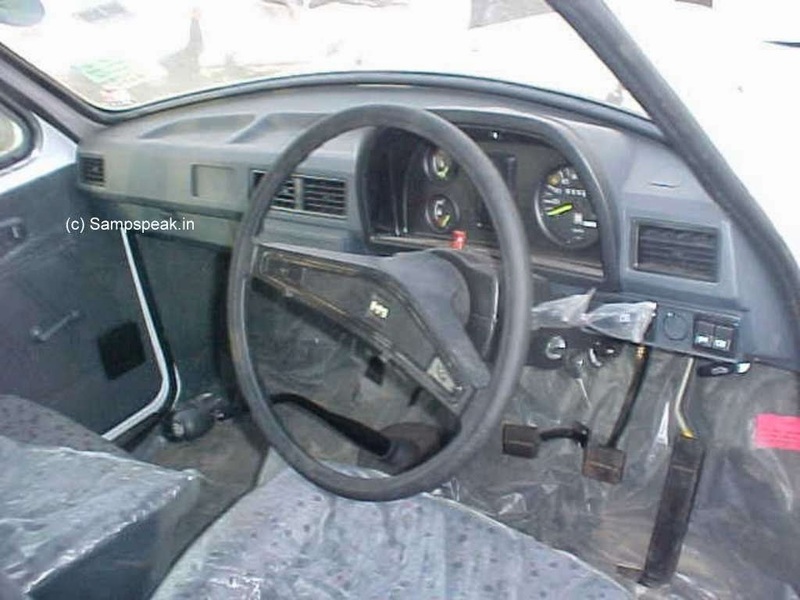 The seating resembled two sofas placed one in front of the other; yet these cars were sold at a premium, and the manufacturers got as rich as they wanted, controlling the supply side to ensure that a black market premium thrived. In winning the crown of durability in BBC show, the Hindustan Ambassador taxi saw off rivals from Britain, America, Germany, South Africa, Mexico and Russia ~ but sadly could not survive in the local market. Many living outside the State may not be knowing Shankarambadi Sundarachari, a renowned writer and poet or his contribution to the State….. perhaps the future may soon forget him too, because of the circumstances that start today !!. Andhra Pradesh is (or rather has been) one of the 28 states of India ~ fourth-largest state by area and fifth-largest by population. It was bordered by Maharashtra; Chhattisgarh and Odisha; Tamilnadu and Karnataka. It was one with the second longest coastline (of 972 km (604 mi)) among all the states of India, after Gujarat. The small enclave (30 square kilometres (12 sq mi)) of Yanam, a district of Pondicherry, lies in the Godavari delta to the northeast of the state. It has had a long and chequered history …. Vijayanagara Empire, one of the greatest empires in the history was founded by Harihara and Bukka, who served as treasury officers of the Kakatiyas of Warangal. Then came the Bahmani Sultanate; the Qutb Shahi dynasty held sway for about two hundred years. The Mughal emperor Aurangzeb captured the kingdom of Golconda including the city of Hyderabad in 1687 and, during this short Mughal rule, Mughal-appointed governors of the city soon gained autonomy. The rule of the seven Nizams saw the growth of Hyderabad city. In Colonial India, Northern Circars became part of the British Madras Presidency. Eventually this region emerged as the Coastal Andhra region. After the Nation’s independence in 1947, Nizam wanted to retain the independence of the Princely Hyderabad State from India, but the people of the region launched a movement to join the Indian Union. The state of Hyderabad was forcibly joined to the Republic of India with Operation Polo in 1948. In an effort to gain an independent state based on the linguistic basis and protect the interests of the Telugu-speaking people of Madras State, Potti Sreeramulu fasted until death in 1952. 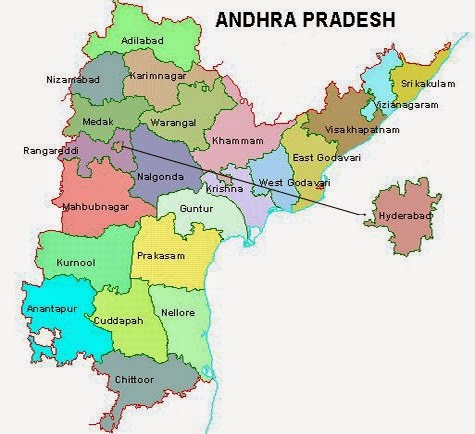 Andhra state was carved out of Madras Stateon 1 November 1953, with Kurnool as its capital city. On 1 November 1956, the States Reorganisation Act formed Andhra Pradesh by merging the Andhra State with the Telugu-speaking areas of the already existing Hyderabad State. Hyderabad was made the capital of the new state. Now, whatever you read above is history … you need to forget or unlearn ! ~ as Andhra Pradesh has ceased to exist from today… starting Monday(26.5.2014), Governor E S L Narasimhan halted all transactions from midnight of May 25 to June 1 at the secretariat, paving the way for the formation of the two Telugu states on June 2, bringing halt to the 38 years of history of Andhra Pradesh. The end of an era was symbolized by the closure of the government treasury on Saturday after salaries were paid to employees to over 14 lakh state employees and pensioners. Although a new Telangana treasury account has been created and the existing account is supposed to continue for residuary AP, no transactions would be made out of these accounts, which means there would be no remittances or payments for any services, including civil works during the week-long period. It marks the birth of Telangana State and remnant Seemandhra – but death-knell for the existing Andhra Pradesh. As per plans, the employees allocated to the two bifurcated states had to work separately from Monday as part of an exercise dubbed as ‘dry run’ for the division. There is confusion as Telangana employees complained that thousands of Seemandhra staff had produced fake nativity certificates in a bid to continue with the Telangana government. Telangana chief minister-designate K Chandrashekar Rao also got into the political mode stating no Seemandhra jobbers in Telengana and urged the governor to stop the exercise of distribution of employees till his government takes charge on June 2, while his party Telangana Rashtra Samithi ( TRS) established a ‘war room’ to look into the grievances of the Telangana employees. Shankarambadi Sundarachari gave the Telugu People their state anthem, Maa Telugu Talliki, Malleypu Danda. The song has been the official song of the Andhra State. The song sung by Tanguturi Suryakumari for theTelugu film Deena Bandhu in (1942) starred Chittor V. Nagaiah, but was released as a private label by the artist. The song gained popularity and it is sung at the start of social functions in state of Andhra and was ultimately made the official song of Andhra Pradesh. Andhra Pradesh Reorganisation Act, 2014 commonly called Telangana Bill is an Act of Indian Parliament proclaiming the bifurcation of the Andhra Pradesh state into two states, Telangana and residuary Andhra Pradesh. The Act consists of all aspects of division of assets and liabilities, finalize the boundaries of the proposed new states and status of Hyderabad. The bill was passed in the Lok Sabha on 18 February 2014 and in the Rajya Sabha on the 20 February 2014. The bill is attested by the President of India, Pranab Mukherjee on 1 March 2014 and published in the official Gazette.Appointed day of the new states is 2 June 2014. Some may celebrate the birth of new State ‘Telengana’ – but in many ways such separation is not good for the Nation perhaps. There have been sweeping changes and all citizens of India hope and pray for the peace and prosperity of the Nation even as Narendra Modi is about to be sworn in as the 15th Prime Minister of this Great Nation. Massive and unprecedented arrangements are being made for the swearing in of Narendra Modiji on the evening of May 26 at the forecourt of the Rashtrapati Bhavan. Around 4,000 guests are expected to attend the ceremony. 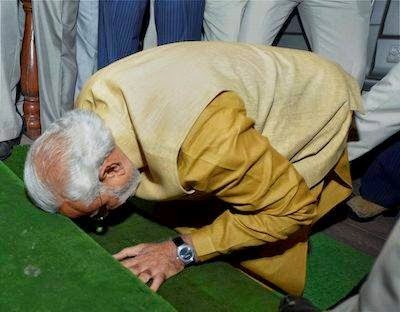 The last two occasions when swearing in of a PM was organised at the forecourt of the Rashtrapati Bhavan was in 1990 when Chandrashekar was sworn in, and later in 1996 and 1998, when AB Vajpayee took oath as the PM. Newspaper reports suggest that 75 foreign dignitaries are to attend Modi's swearing-in which would include dignitaries from Norway, Russia, Ukraine, Nigeria, Kenya, Taiwan, Guyana, Denmark, Israel, Australia, and Hong Kong, among others. Eight foreign leaders from India’s near-abroad are attending ~ while the focus will inevitably be on Pakistan Prime Minister Nawaz Sharif, the other guests, six from Saarc countries and Mauritius Prime Minister Navinchandra Ramgoolam, have their own relevance and importance for India. The others are: outgoing Afghanistan President Hamid Karzai, Maldives President Abdulla Yameen Abdul Gayoom, Sri Lanka President Mahinda Rajapaksa, Bhutan Prime Minister Tshering Tobgay, Nepal Prime Minister Sushil Koirala, and Shirin Sharmin Chowdhury who is the Speaker of Bangladesh parliament. Besides there will thousands of guests which include : outgoing Prime Minister Manmohan Singh, Congress President Sonia Gandhi and party Vice President Rahul Gandhi, leaders of various other parties and chief ministers of a number of States. Herāt is the third largest city of Afghanistan; situated in the valley of the Hari River, which flows from the mountains of central Afghanistan to the Karakum Desert in Turkmenistan. The city is linked with Kandahar. Situated in a fertile area, Herāt dates back to the Avestan times and was traditionally known for its wine. It was earlier ruled by Nadir Shah. Herat was in news for wrong reasons due to terror attack on the Indian consulate here and Modi even before becoming PM had a role to play. Sri Modi spoke to Afghanistan President Hamid Karzai on the phone and also directly called up the Indian ambassador in Kabul, Amar Sinha. Senior officials said the PM-designate spoke to Sinha before 11am. By then, the attack had been foiled and the four suicide attackers killed. The gunmen had used rocket-propelled grenades to attack the mission, narrowly missing the bedroom of Indian consul general Amit Mishra. Top South Block officials said Karzai's office first sought to speak to Singh, via the ministry of external affairs, in the morning but the call had to be rescheduled for 6pm as the caretaker PM was indisposed. Instead, at around noon, the prime minister's office released a statement condemning the attack on Singh's behalf. Officials in the MEA were instructed to prepare talking points for Singh's scheduled conversation with Karzai in the evening. However, Karzai decided not to wait and called up Modi at around 1.30pm, assuring him of protection to all Indian missions in his country. He later spoke to Singh for five minutes at the scheduled 6pm, briefing him in detail on the attack and assuring him of the safety of Indian assets in Afghanistan. Modi later tweeted his praise of the staff at the consulate and the efforts of Indian and Afghan security personnel in foiling the attack. 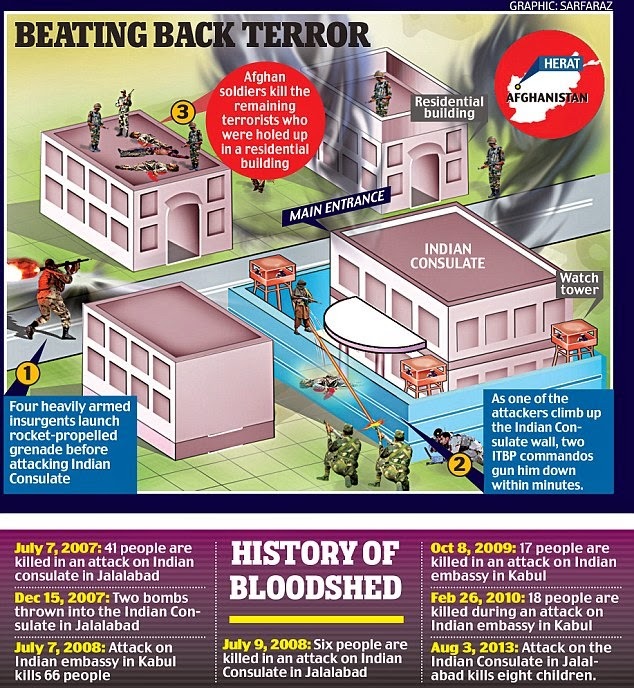 Daily Mail reports that brave Indo-Tibetan officers and Afghan forces foiled Taliban scheme to take staff hostage as they fight off attack on Indian consulate. Here are some excerpts from that article : Terrorists in South Asia are terrified ~ and it's all because of one man: Narendra Modi. The imminent takeover of reins by India's Prime Minister-designate and his effort for good relations with Pakistan have forced the creatures of darkness to press the panic button. So, the terrorists responded with blood and gore on Friday in Afghanistan's Herat province when the Indian Consulate came under a pre-dawn attack. All the four fidayeen terrorists were killed by the Indo-Tibetan Border Police and Afghan security forces. Hours later, troops in Jammu and Kashmir seized a sizeable cache of assault rifles and explosives in Pattan town. It all indicated that the terror pot is simmering again, with anti-India elements in Pakistan unleashing their sinister plot to thwart any effort to normalise relations between India and Pakistan. Modi's invitation to Pakistan Prime Minister Nawaz Sharif to join the oath-taking ceremony in Delhi has got the terror masterminds unnerved. So, their reaction was swift, aiming to put Modi to test. The attack in Herat - the eighth one on Indian missions in Afghanistan since 2007- triggered speculation in New Delhi that the powerful Pakistani military establishment could be behind the efforts to scuttle Sharif's visit to India. Though no one claimed responsibility for Friday's assault, a majority of similar attacks have been blamed on the Haqqani Network, which has close ties to Pakistan's Inter-Services Intelligence. Without naming Pakistan, External Affairs Ministry spokesman Syed Akbaruddin said the attack in Herat "once again underscores that the main threat to Afghanistan and its peace, stability and security stems from terrorism beyond its borders." The handful of Indian staff in the consulate, believed to number less than 10, remained safe though the attackers used rocket-propelled grenades in the assault. Intelligence sources said the terrorists had clearly planned for a hostage situation and came with adequate stocks of ammunition, grenades and dry fruits-all indications that they intended to prolong the assault and keep the staff pinned down in the Consulate. ITBP chief Subhas Goswami said security for all Indian missions in Afghanistan was increased last month by deploying additional commandos following intelligence alerts about possible attacks. The invitation to Pak and other SAARC leaders is seen as a new beginning in the Indo- Pak relations, according to observers. It is clear that the terrorists will do everything to test India's patience. The recovery made from the terrorist killed by the ITBP commandos indicate that the attackers were prepared for a long haul as they were not only lethally armed, but were carrying sizeable quantity of dry fruits, sources said. The attempt has been thwarted thanks to the brave Indian forces assisted well by the Afghan forces. It is time, we pray and do all that is required for strengthening the Nation and partner towards growth and prosperity.